Unnamed ONCONUS Location I'm in the process of drafting a proposal to establish a new UXO disposal site and I'm trying to find some references for the requirements that would need to be met and whatever site permitting/licensing requirements there are for a DoD installation on property leased from a foreign nation. I'm assuming DDESB is the authority on site permits for explosive disposal. The purpose of the UXO disposal site is to dispose of old WWII era munitions (i.e., remnants from the war) that turn up on occasion. Question Submitted by Paul C. McCarren, UXOInfo.com reader. 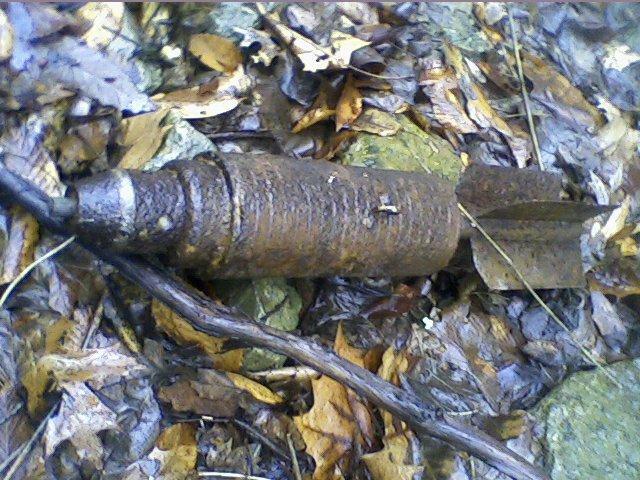 Ohio Two weeks ago, a 6 year old boy found an ordnance item (shown below) in a creek bed while hiking with his family. The family was hiking in a wildlife area over 30 miles away from a military area or known FUDS. The family reported the find to local authorities who BIP'd the item. The identification of the item was not released but was reported as 'inert'. Question Submitted by Lee Johnson, UXOInfo.com reader. While researching the site of a Lockheed Lodestar crash, we located this unusually shaped object. Although this was a WWII aircraft crash site, the object appears to predate that era due to the rough cast iron 'casing'. We originally thought it was part of the aircraft until cleaning revealed what appears to be a brass 'fuse' plug on the 'front' end. 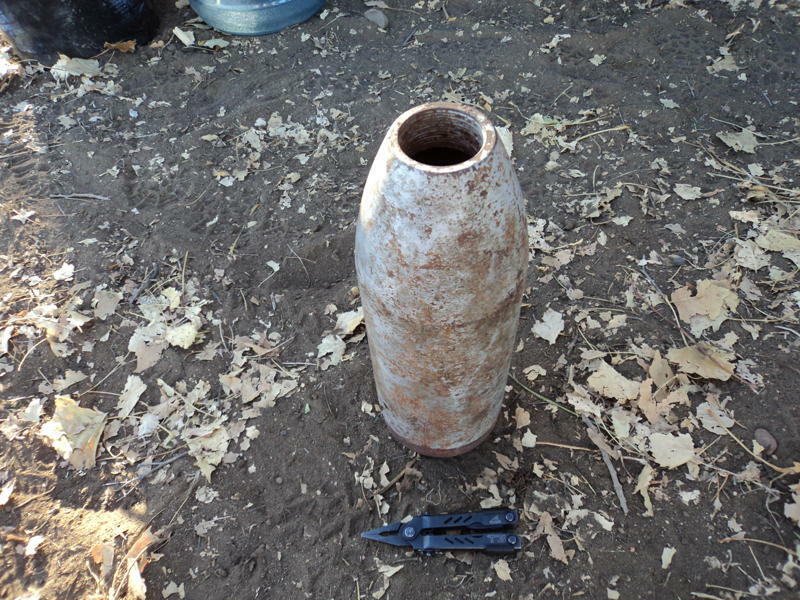 A UXO Technician deployed in an undisclosed international location took pictures of the following munition items while deployed on assignment. 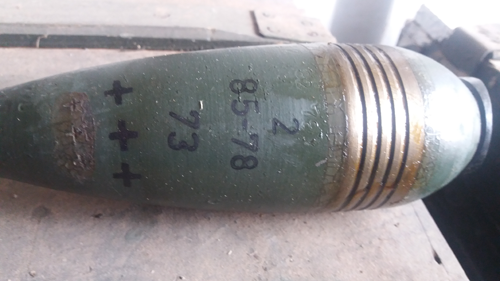 They appear to be Chinese Type 84 scatterable mines but second opinions are being sought as well as any additional technical specifications on the munitions. "In the 1940's British bomb disposal units were split into two team types: Removal teams and Sterilization teams. What were the differences in duties and responsibilities of the two teams? Please define removal and sterilization as it pertained to British Bomb disposal procedures in the 1940's." "I am seeking advice about the appropriate response to an unidentified object that has the potential to be UXO. 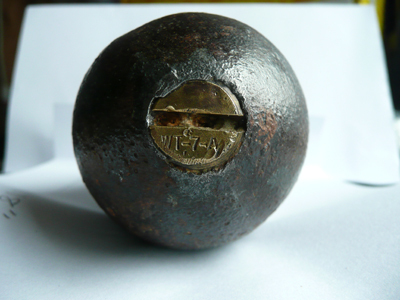 Having now carried out some research, I suspect it is some form of very old artillery shell (75 mm? )".